Home / Blog / Banh Xeo- Have you ever enjoyed in Vietnam? 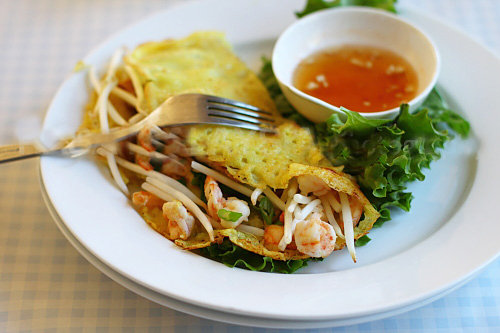 Have you heard about Vietnamese Pancake which is one of the most delicious traditional food in Vietnam- a peaceful country located in the Indochinese Peninsula? 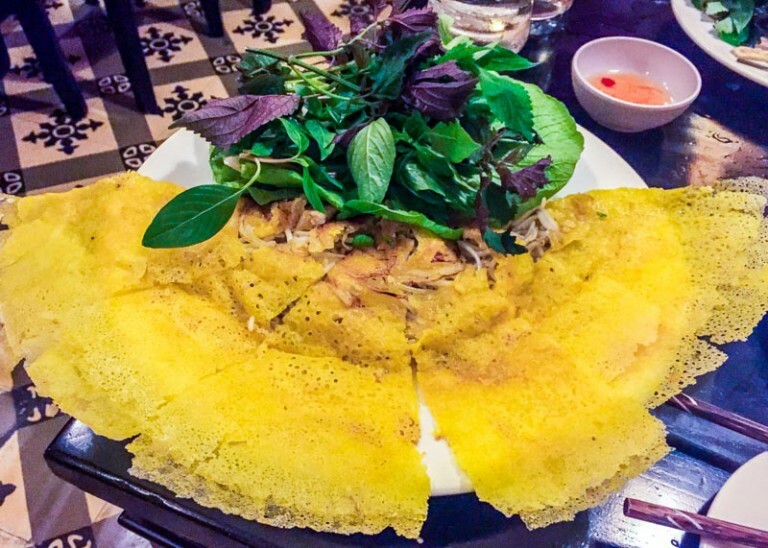 This is one kind of pancake called Banh Xeo. Banh Xeo is so famous and that you can receive millions of result after a click for searching it on the Internet. This is one of the clearest proofs which demonstrate that Banh Xeo is desired by a lot of people. As the saying goes: You only can enjoy the best dish in its own country”. This statement is really true for Banh Xeo. Only in Vietnam, it can have such a good taste! If you are a gourmet, it is sure that you can’t miss this information. Therefore, let’s visit Vietnam to have opportunity take Banh Xeo in hand and enjoy it! You can access mekong cruise Vietnam to get more information. 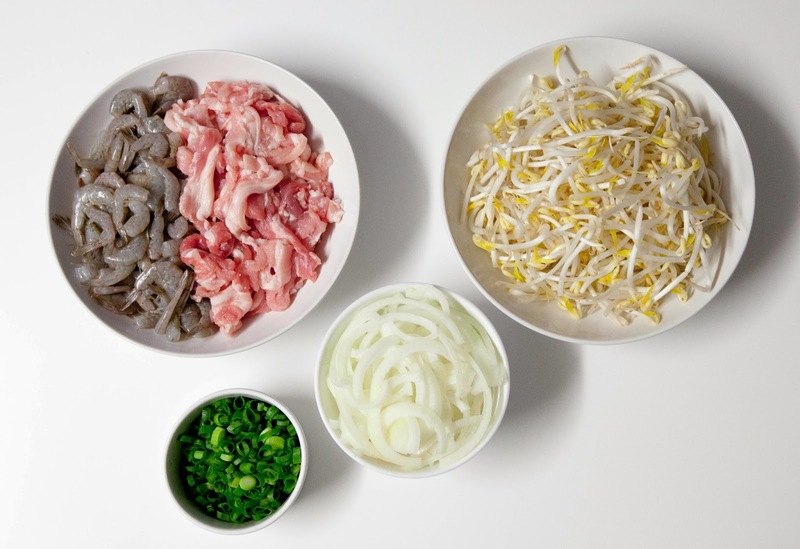 To make Pancake , there are many ingredients which the chef has to prepare such as rice flour, turmeric powder, bean sprout, chopped shrimp, thinly sliced pork, water, coconut milk, spring onion, salt and so on. All of these things are very fresh and safe. 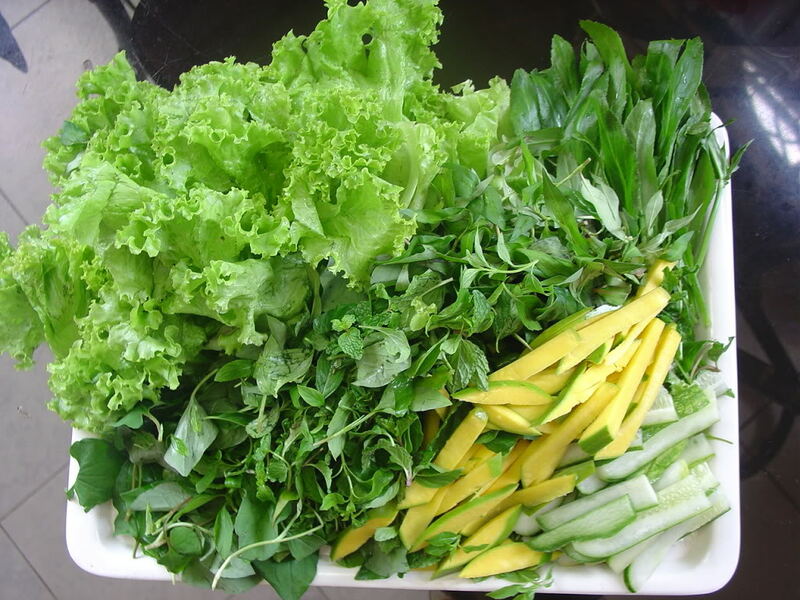 Moreover, What makes the uniqueness of Pancake in Vietnam is the fresh vegetable platter consisting of lettuce, mustard leaves, cilantro and so on. These kinds of vegetable will bring a strange and special taste for Banh Xeo which you can’t find in other countries except from Vietnam. The simple reason is that in other countries, such kinds of fresh vegetable is very rare, even not. Secondly, the chef will prepare for the filling of Banh Xeo by seasoning the thinly sliced pork and shrimp with pepper, salt and other spices. Some chefs never reveal all the spices they add to because the spices make their Banh Xeo become special. Thirdly, they heat a large pan. Then, they pour the mixture which is prepared at the first step to make the wrapper. One thing you should remember is that the thinner the wrapper is, the more delicious the Pancake will be. Then, the chef will put the seasoned chopped pork and shrimp in the center of the pan. They will ford the wrapped and wait until the filling is nine. 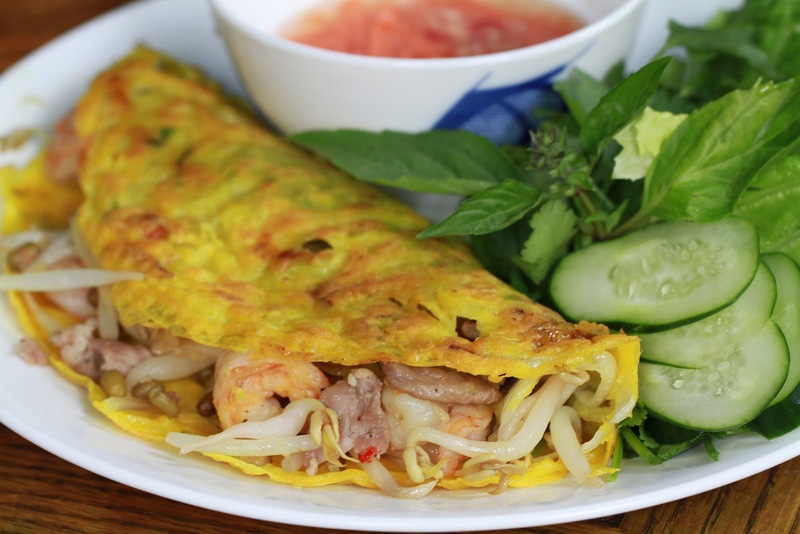 Banh Xeo 46A attracts so many groups of international travelers to come here to enjoy one of the top dishes available on Vietnamese menus, which is the reason why, unlike most of the other eateries, they remove the head of the prawns. This is what picky customers might be really thankful for. Even though some say Banh Xeo 46A is overpriced and misses the essence of the original flavor, honestly, once experiencing, you will have no disappointment. All brought together with great service, a good amount of fillings with a balanced crispiness making the size of the crepe challenging to finish. Hidden in an alley off Hoang Dieu Street, Ba Duong is where Danang people go for the best banh xeo in town. At Ba Duong Restaurant, extra crispy Banh Xeo is served, with rice paper, pork skewers and a signature peanut sauce. The crowds coming to Ba Duong just for the Banh Xeo as this restaurant is so specialized that there is nothing else on the menu. Address: K280/23 Hoang Dieu, Danang. At Quan An Ngon, a brilliant restaurant that combines all the best street food vendors of Hanoi under one roof, you can enjoy it – a dish full of contrast, in flavors, textures and temperatures. It is so incredibly special and unique. Not only having an indisputable star on Vietnamese menus, Pancake is also culturally inclusive. Enjoying Banh Xeo is an amazing chance to know more about Vietnam’s cuisine, history and culture. So, if you have not had a chance to try it yet, pay a visit to Vietnam and get your hands dirty devouring this incredibly awesome crepe that is so integral to Vietnamese cuisine.